Total 147 cabins,including 31 crystal cabins (Eyes of Maokong Gondola). Each regular cabin is designed to carry eight passengers. A crystal cabin (Eyes of Maokong Gondola) can carry no more than five passengers, because its base of reinforced glass weighs more than 200 kilograms. 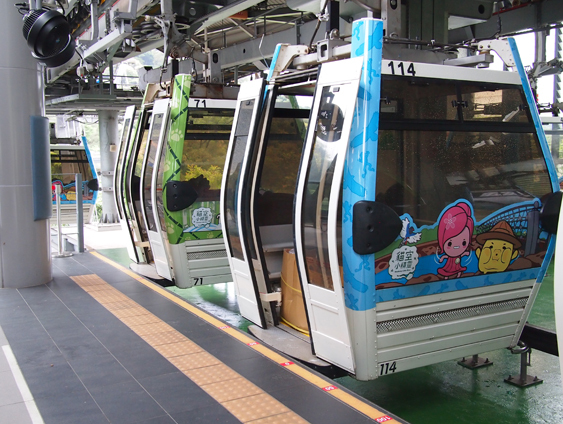 The Maokong Gondola is a system of “circulatory cable cars” circulating around the stations, like the conveyor belt in a Sushi Express Shop. The cabins themselves do not have driving force. They are carried on cables that are driven by a power system. The automatic circulatory system of the French firm POMA is employed, and travels to operate in an anti-clockwise direction. 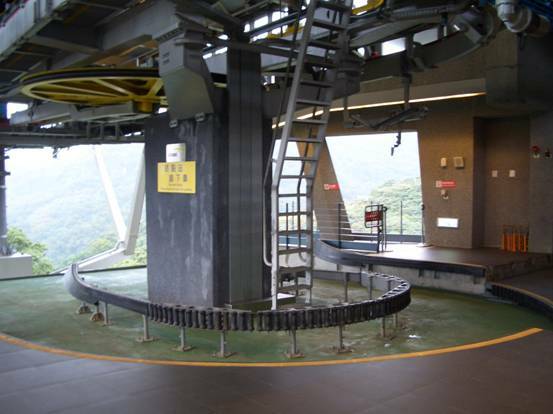 Taipei Zoo Station and Maokong Station have rotary type platforms. 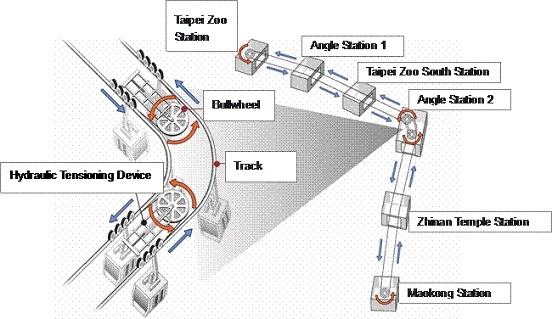 Taipei Zoo South Station and Zhinan Temple Station have lateral type platforms. The Gondola System is a new transportation method. It provides passengers with an aerial view of the tea plantations in Maokong, assures the integrity of Maokong’s natural environment, and has the features of low pollution, convenience, reliability and safety.